“A method of professional development that focuses on enhancing attuned interactions through a specific way of using video reflection. VERP is the review, often in groups, of short video clips of one’s own professional practice. The focus is on the professional’s focus for change. VERP is based upon the theoretical underpinnings of Video Interaction Guidance (VIG), an evidence-based intervention model which was brought to the UK by Hilary Kennedy from the Netherlands (Coventry and Prior Jones, 2010). VERP is an application of VIG and is very much focused on a strengths-based approach to CPD where teachers can build on their core assets and ‘working points’ (not weaknesses). In a nutshell, VERP uses video to help people understand and improve their communication with others by looking at what we do well. It takes edited video clips of “better than usual” communication between people as the basis of a reflective dialogue about how to improve the interaction. Video-enhanced professional development is not new but visual evidence has been very under-used as a dynamic tool to improve teaching methods. Videoing our selves and each other for high quality teaching is now much more common place and is gaining momentum. Teachers have been for many years subjected to soul-destroying lesson observations that have done little or nothing to power improvement. Instead, in an era of unprecedented accountability they have fulled panic, fears and guilt leaving thousands of teachers on their knees. The appropriate and formative use of video observation has changed all that and now, for the first time, teachers are reclaiming their classrooms as territories for growth and development rather than arenas of punitive performance. Lesson observations are moving from toxic wastelands to rich rainforests of learning. The balance of power has changed (or is changing) – lesson observations don’t have to keep us awake at night and ruin our appetites anymore! When used as part of a video learning community of like-minded professionals with a growth mind set then anything is possible. 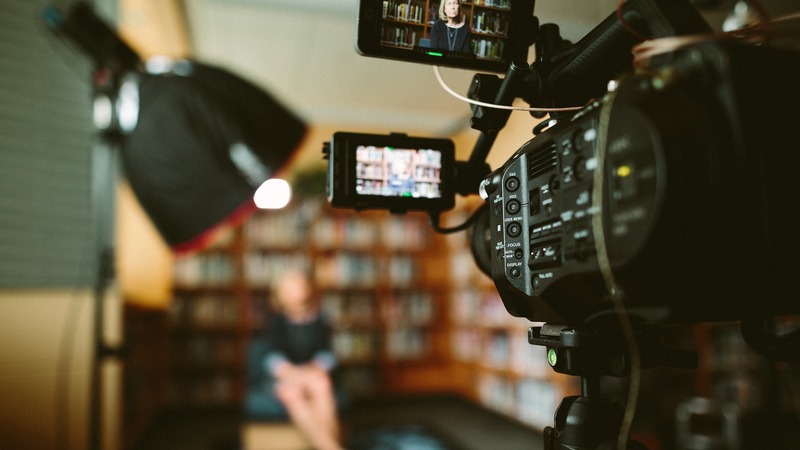 The ‘no blame culture’ of a video learning community means teachers can focus on their own learning in order to power the learning of their classes because the process is based around respect and empowerment. Video enables us to enter into observations on our own terms where we rely on the eyes and ears of our colleagues and who help us us to think critically and creatively without judgement. They can act as coaches, counsellors, confidants and collaborators with no agenda except support. When we use video recordings of a lesson we can focus on what we do well and build on these strengths for improved impact. Focusing out attention on what we do well is part of the new marginal gains pedagogy where a little here and a little there can make a big difference. Analytical and critical awareness is key and having an eye for detail is a skill that all teachers can develop. The VERP teacher consents to take part and they think about what skills they would like to develop using the principles for attuned interactions. They set their own learning goals. Then they video themselves in a professional context. They then micro analyse and edit the video, selecting three key clips where they feel they are showing positive and successful interactions. The teacher then meets a VERP guider and they will share and discuss the clips together in a ‘shared review’, providing a space for reflection. This is then repeated for at least three more cycles. VERP enables professionals to tune into what they are doing and enable them to feel empowered through observing their own practice. Why not give VERP a try yourself? It is a respectful and collaborative relationship-based intervention which can help us become more sensitive and attuned to those around us, to develop or fine tune “mind- mindedness”. Teaching is an art – the art of effective communication and VERP can help us go from strength to strength. that the video feedback method has a statistically significant effect on the interaction skills of professionals in a range of contact professions. Teachers can seize the day and use VERP to their full advantage.